Tattoos tell different stories for everyone. Tattoos are becoming more and more common place with one out of four adults totting one form of tattoo or the other. And we all know that getting a tattoo entails using a needle that contains the tattoo pigment and inserting it into the skin several times—a simple concept, but when done incorrectly can lead to serious damage. However, a rising phenomenon among young adults today are at-home tattoos, better known as do-it-yourself (DIY) tattoos. This growing trend has become a cause for concern as complications could ensue such as allergic reactions and severe infections. Are DIY Tattoos Or Home Tattoo Procedures A Risky Procedure? Home tattooing by unlicensed professionals is not legal and must not be encouraged. The risks involved in DIY tattoos are too grave. 1. Purchasing a home tattooing implement or equipment, especially over the internet, is a risky venture. In addition, since you are not a trained tattoo artist, there is no way of finding out whether the home tattoo equipment you purchased online is of the best quality. When purchased from reputable sources, most of these tools are also on the cheap side. If you have ever heard of the words: ‘You get what you pay for,’ then you should know that is exactly what happens when you purchase low-priced home tattoo equipment online. 2. Tattoo training cannot be obtained by watching YouTube videos enrolling in a licensed institution. Even a skilled traditional artist isn't trained in actually performing the procedure. It's about far more than being able to draw. 3. The risk of getting infected with diseases such as HIV (which is the virus that develops into AIDS), Hepatitis B, Hepatitis C, and other types of skin infections is compounded when you perform at-home tattoos. For example, Hepatitis B, as well as Hepatitis C, can trigger liver diseases like cancer and cirrhosis as a result of the poor quality of tattoo inks used in the process as well as other factors. 4. A home tattoo does not have adequate preventive measures put in place to ensure a safe and clean environment for the tattoo process. Most people who perform home tattoos don’t know the proper postoperative care to mete out to their subjects, and that is dangerous. We could go on for a while, but here is the short of it: At-home tattoos can lead to harmful, lasting damage to your skin, scarring, diseases, and an unprofessional looking end result. The best and safest way to reduce the risks of DIY tattoo is to visit a professional tattoo studio and get your tattoo done by a licensed and authorized tattoo artist. This is the only place where you will receive adequate aftercare instructions verbally and in writing on how to maintain and care for your tattoo. Pinky swear you won't fool us? Either way - here is our April Mood Board. No joke. We all care about the tattoos we invest in, but It’s important to protect that investment by protecting your ink from fading over time. Everything from the sun to the kinds of moisturizers you use play a role in keeping it as bright as the day you go it. So first, we’ll take a look at the things that put it at risk and then, we’ll give you tips on how to protect yourself against them. While tattoos are permanent, certain parts of your body hold the ink better than others. Areas like the lips, feet, and fingers are known to fade faster because the skin is slightly different and in more active places on your body. Pro Tip: If you’re looking for something to fade over time, these places are just for you. If not, think about moving your design to somewhere else on your body like your arms, legs, back, or chest. Just remember, the more that tattoo comes into contact with other things, the more likely it is to fade. Tattoos, at their core, are wounds that need to heal. Our previous post outlines the importance of the healing process. Between avoiding infections, not over exposing it to the sun, and allowing it to properly set, the first month is critical to the life of your tattoo. Pro Tip: Follow these 5 tips to make sure you allow it to heal the right way and start the life of your tattoo on the right foot. Ultraviolet rays from the sun or tanning salons damage your skin and more specifically your ink. That’s because most of the compounds that make up the pigments used in the tattoo are negatively affected by UVA and UVB rays. Pro Tip: Some UV is unavoidable, but if you know you’ll be outside for long periods of time, you can protect yourself. Cover up or use a natural sunblock like Save Your Tattoo. It’s important to do your homework when choosing a tattoo artist. The straightness of their lines, consistency, cleanliness, and precision all play a part in the lifespan of the final product. Pro Tip: We can’t stress this one enough - do your research. Nothing is worse than having your designs poorly executed, only paying to get it touched up too soon down the road. Unfortunately, this one is unavoidable. Our skin naturally changes with time and this will most likely affect the way your tattoo looks. Pro Tip: Choose places on your body that are less like to stretch or sag over time. Healthier skin = healthier tattoos, so it’s only obvious that not taking care of your skin is bad news for the longevity of your ink. Pro Tip: Wouldn’t it be convenient if you were on a sight that would help you do that already? Oh wait. 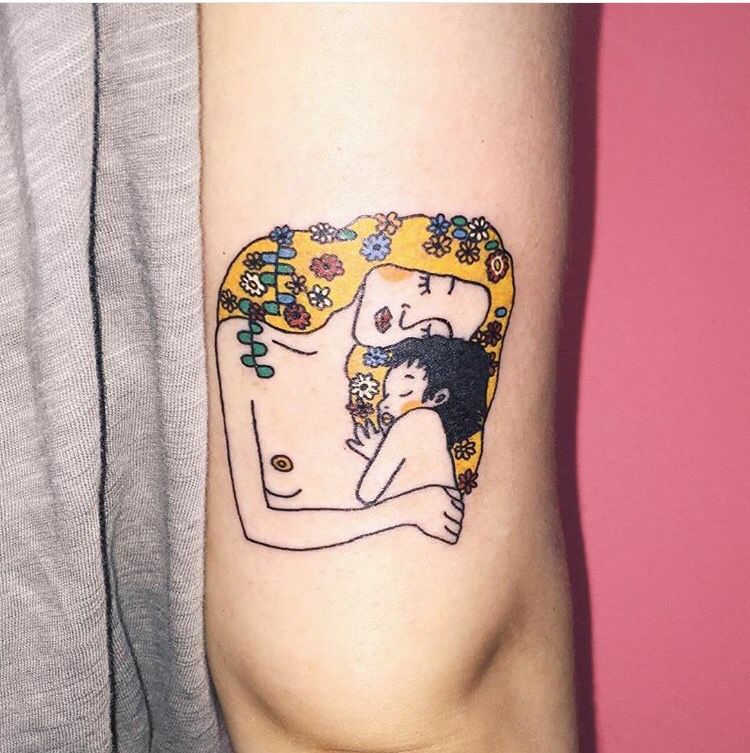 From hearts anatomic and fantastic, to fresh flowers and matching tattoos, we're taking a look at some inspiration that will be sure to make you fall in love with tattoos. Tattoos serve many different purposes. Remembrance of loved ones, daily reminders, self-expression, body art, etc. But have you ever thought of tattoos as makeup? Permanent makeup or cosmetic tattoos have some serious benefits. From more natural looks to eyeliner wings that never smudge, it provides a time saving, consistent option for countless people. If you choose to get one, make sure to do it safely, choose a timeless look, and consult a permanent cosmetics professional. Check out the work of these artists and more here. From hair transplant surgery to Rogaine, dealing with male patterned baldness is common - almost 70% of men experience it at some point in their lifetime before the age of 35. However, not many of the solutions are all that effective. So, Matt Lulo of Scalp Micro USA in NYC came up with an alternative. By tattooing thousands of little dots in place of hair follicles, men experiencing hair loss can "fill in the gaps" giving a look of a fresh buzz. The process can either be permanent or temporary can only costs around $2,000 as opposed to $10,000 for traditional transplants. 10/10 for creativity, Matt. If you ever choose to put a put a tattoo on your head, face, or any other part of your body that is often exposed to the sun, bring our travel-sized lotion bottle to apply as necessary. As if there weren't enough pumpkins in your life already, here's our fall inspired September mood board. See more on our Pinterest. 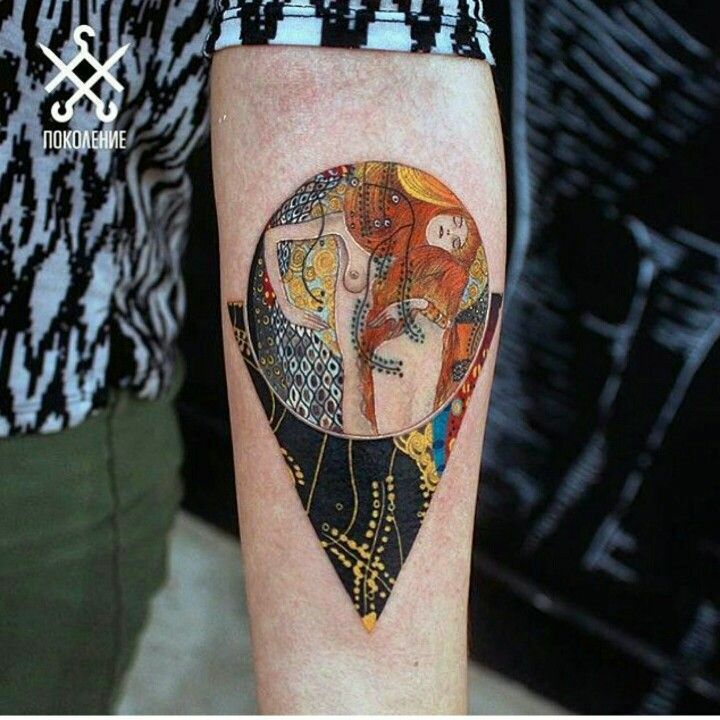 Whether you're a fan of O'Keeffe or Herring, there is no doubting the influence classic and modern art has had on the tattoo community. 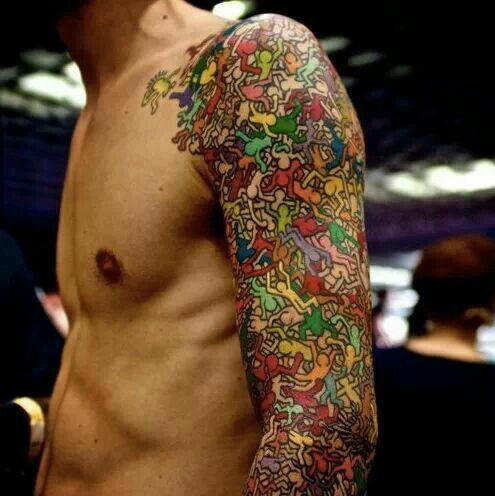 This month, we're highlighting some of our favorite artist inspired tattoos. One of the biggest reasons people are hesitant to get tattoos is due to their permanence and difficulty to remove. Well, thanks to the folks at Ephemeral Tattoos, this won't be a problem for long. Check out this interview with CEO Seung Shin during Tech Crunch Disrupt. You've just spent a great day at the beach, out on the water, or relaxing by the pool. Unfortunately, you might have forgotten to put on sunblock, missed a spot, or sweat it off before you had time to apply more. You head home to find that your shirt now feels uncomfortable and your skin is red or raw. Unfortunately, you’ve got a sunburn. They are caused by overexposure to damaging UV rays from the sun. While they are usually self-treatable and resolve within a week, they are painful and can be annoying to deal with. If you ever find yourself with a sunburn, try one of these helpful steps to help aid recovery. As we mentioned, most sunburns are mild enough to treat at home with a little TLC. However, some can be far more serious. If you’re experiencing any of the following symptoms, head to the doctor for a more thorough examination and treatment plan. It seems like common sense, but many people who get sunburned will continue to go back out into the sun and worsen the problem. Wear sunblock, clothes that cover the burn, and a hat every time you go outside. Avoid the sun as much as possible during peak hours (10am - 4pm). Taking a cool (not cold) shower or using a cool, damp towel can help take the heat off of your skin and relieve pain. There are also many over-the-counter products that contain aloe vera or soy that can be used to soothe sunburns with a cooling effect. An important step in recovering is keeping your skin hydrated to promote healing. Using moisturizer often and throughout the day will help relieve pain and keep your skin from peeling. Getting a lotion with Vitamin E or C may even promote faster healing and damage reversal. Don’t forget your insides, too. Drink plenty of extra water. If you see a sunburn beginning to form, take a dose of ibuprofen or acetaminophen. Not only will they curb the pain, these anti-inflammatories and pain killers help reduce swelling, redness, pain, and long-term damage. Sun burns are treatable, but the best practice is to prevent it in the first place. Over time, this damage to your skin can cause premature aging and in some cases, skin cancer. Your best defense is to wear sunblock and frequently reapply it after going in the water or sweating. It may take longer to see a tan but it is worth it in the long run. You can learn more about the damaging effects of the sun and how Save Your Tattoo can help here. It's may and we all know what that means. Star Wars has inspired generations and will continue to do so in the future. We love it so much, we've dedicated our May mood board to it - these are the tattoos you're looking for.